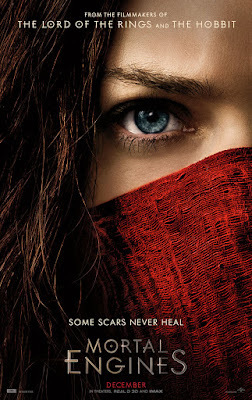 Film-Arcade.net: Official Trailer for the Upcoming Adventure Film "Mortal Engines"
Official Trailer for the Upcoming Adventure Film "Mortal Engines"
Universal Studios recently released the official trailer for their upcoming film "Mortal Engines". The film stars Robert Sheehan, Hera Hilmar, Hugo Weaving,Jihae, Ronan Raftery, Leila George, Patrick Malahide and Stephen Lang. "Moral Engines" hits theaters on December 14th.